Secret Garden Party reinvented the festival not with the famous performers in mind, but the punters, who were encouraged to drift between experiences and interact with each other, rather than just stare at main stages. It is sadly no more, but in the wake of the UK’s ultimate boutique fest lies Lost Village, a relative newcomer now in its fourth year. 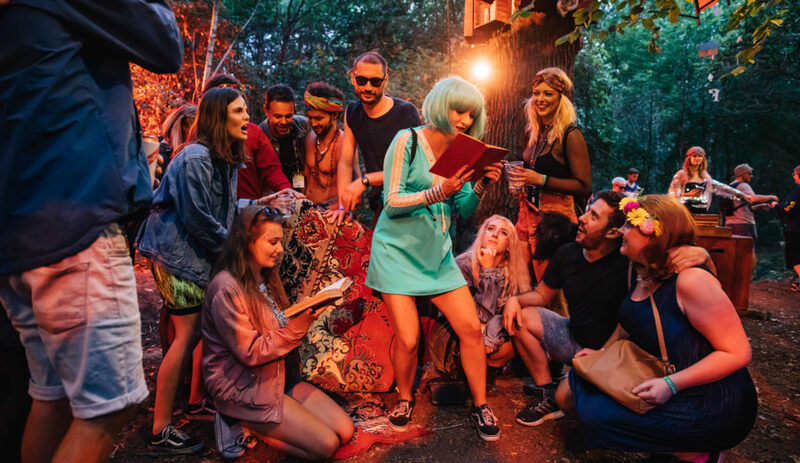 The secretive vibe is kind of the same – organisers explain how we’ll be swept into a magical wonderland far off the beaten track (well, actually, Lincolnshire) but you get the message – Reading and Leeds this ain’t. Lost Village is the word on everybody’s lips this season because, being four years in, punters believe it’ll still have that feeling of being relatively new and unspoiled, and that’s without mentioning the piles of good stuff to do. The food! London restaurants Dishoom and Patty & Bun are upping sticks and setting up Wilderness-style banquetting feasts on site called ‘Tribal Banquets’ (remember we’re in a Lost Village…). Tommy Banks, the UK’s youngest Michelin-starred chef, will be plating up for another Banquet as will meat maestros Hawksmoor, and the mighty good Cook For Syria project is a makes-sense investment for all really. The Harry Potter-inspired Institute of Curious Minds hosts a series of talks and debates on site, and a hub for artists and “potion makers” provides a further antidote to the thrashy music. After the daytime sophistication, Lost Village turns into something more wild by night, when the spirits and ghouls – and the DJs – take over. Headliners are nostalgic, certainly Everything Everything and Friendly Fires are two of the most brilliant ways to connect villagers old and young, with their vast sonic catalogues and big visual shows – ones to get the party started. Later, DJs and live performances go on wildly late into the night and the likes of feminist icon The Black Madonna, tech turned ambient DJ Daniel Avery and queer party starters Horse Meat Disco take the village into the new dawn. Most festivals have silly names for stages, but Lost Village have taken the bone. Avoid being seen at the bureau of lost, don’t you dare do anything naughty in the abandoned chapel and certainly don’t try anything macarbe at the burial ground. Then there are a whole plethora of other electronic music arts playing we daren’t try and pronounce the names of, but we’re sure they’re bloody good. If getting ‘out of your mind’ means more meditation than morning regret, the lake of tranquility insist on bathing villagers in wood-fired hot tubs, offering massages and walk-in yoga sessions by a natural lake for relaxation and calm. And also, your fancy dress game needs upping, asap.